You can now download Windows 7 Bing themes, that consists of some of the best backgrounds that you see on Bing, and enjoy them as Windows Desktop Background Wallpapers. 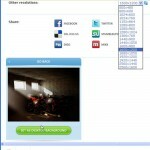 Microsoft hit the news headlines, quite frequently this year, with a lot of products including Windows 7 and Bing. Both Windows 7 and Bing received a lot of good reviews from the world wide user community. While Bing was considered a Google killer, Windows 7 was declared the best ever OS that microsoft had ever made. 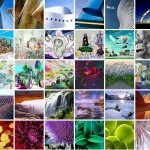 To show support for Windows 7, Bing community editorial lead Stephanie Horstmanshof announced the availability of some of the best Bing wallpapers for Windows 7. Bing users would have noticed a different background picture on the search interface, every day. Some of those Bing wallpapers are splendid examples of photography. Due to popular demand for desktop versions of Bing images, the Bing homepage team selected the top images from June, July, and August, and then worked with the Windows 7 personalization team to create a Windows 7 theme pack featuring the 20 gorgeous wallpapers. Windows 7 users will just need to download the pack and execute the file in order to personalize their desktops with Bing wallpapers. It must however be noted that this theme pack works only on Windows 7. However, I am sure that it will not be long, before these splendid Windows 7 wallpapers and themes are made available for other windows OS like XP and Vista. 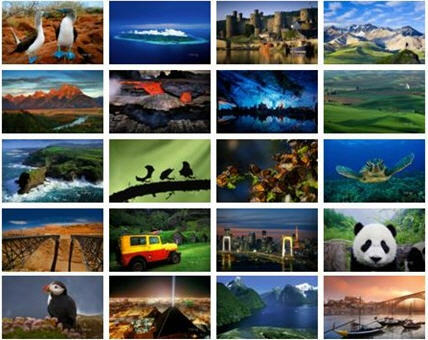 Until then, download Windows 7 Bing themes and enjoy them on your Windows 7 desktop! 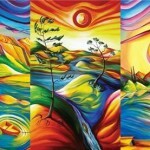 If you are a Windows XP or Windows Vista user, You can check other beautiful Windows 7 wallpapers. 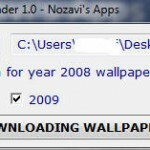 If you are not satisfied with just windows 7 wallpapers, you can download Windows 7 RC. Update – Though windows 7 RC is no longer available for free download, you could download Windows 7 Enterprise Trial and use it free for 90 days. If you are on Windows XP or vista, you can use the Windows 7 Bing Themes and Wallpapers to personalize the look and feel of your desktop by following this guide – Windows 7 Themes, Aero Snap, Aero Peek and Aero Shake for XP and Vista. How To Save Windows 10 Lockscreen Spotlight Images!